Petty has issues according to NFL scouts. 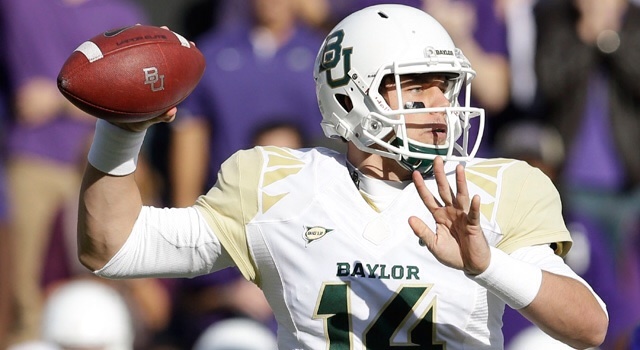 NFL.com's Bucky Brooks didn't advance scouting report on balers quarterback Bryce Petty. The big question to the weather Petty was a system quarterback or has the talent to translate to the next level. "Petty has been hailed as a potential franchise quarterback in some circles based on his outstanding production as a first-time starter, but I can't jump onboard after conducting a four-game film study (Oklahoma, Texas Tech, Kansas and Iowa State) that left me questioning his overall talent and potential. While I certainly respect his production and management skills as the leader of the Bears' offense, I saw a quarterback who greatly benefitted from a clever offensive system and supporting cast loaded with future NFL playmakers. Petty didn't exhibit the arm talent, accuracy and playmaking ability I would expect from a franchise quarterback; I would need to see dramatic improvements in his mechanics and overall play to place him in the conversation with Marcus Mariota, Jameis Winston and Brent Hundley as the top quarterback in the 2015 class." I don't see Mariota, Winston, or Hundley being franchise quarterback either. USA Today has Rice ranked number 62 out of 28th college football teams this year. You can read the whole article here, but bottom-line they pick the Owls to go 10-2 in the best case scenario 5-7 in the worst case scenario. "The West Division will come down to Rice, North Texas and UTSA, with the Owls and Roadrunners meeting in Houston on Nov. 8. That's a nice boost to the Owls' hopes, but the schedule as a whole does Rice no favors. The Owls get Notre Dame, Texas A&M and Marshall on the road, three sure losses – yes, I expect revenge to motivate the Thundering Herd – and must also deal with the Roadrunners and Mean Green. Essentially, Rice must take on the Fighting Irish, Aggies and three of Conference USA's four best teams during the regular season." Kyle Field renovations are on schedule. Texas A&M is optimistic that the renovations in phase 1 of the new Kyle Field are going to be on schedule for kick off this season. The Eastside renovation as well as the southside enclosure should be complete when things kick off in two months. A&M will demolish the existing west side after the season on December 14. According to the project managers the Westside will be easier and quicker to build because they won't be remodeling the'll be starting from scratch. Oklahoma picks up Missouri transfer. Dorial Green–Beckham, a talented receiver dismissed from Missouri's football team this spring, has found a landing spot at Oklahoma. There was speculation that Green-Beckham might go to an FCS school to avoid sitting out a year. 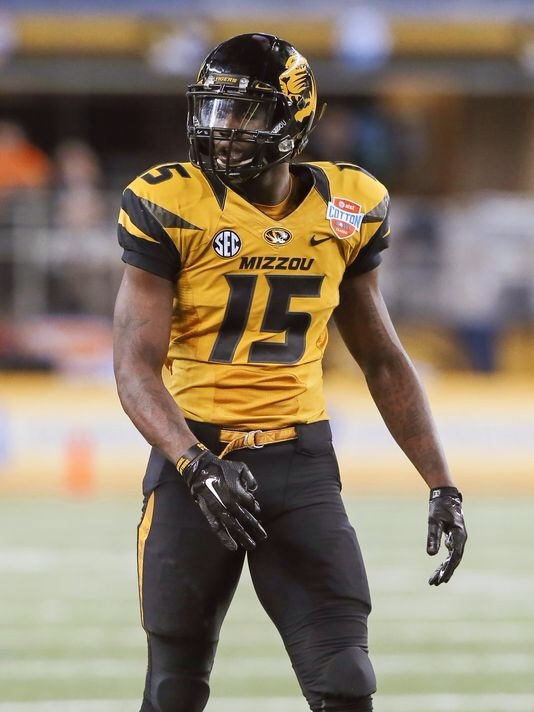 Green–Beckham was dismissed from Missouri football for a series of off field issues. Oklahoma will seek a waiver to allow Green – Beckham to play this season, but that appears to be a longshot. Still, Green–Beckham is a legit NFL caliber talent if he can only work out what's going on off the field. He's the classic million-dollar talent with the five cent head. Baylor welcomes addition of 7,500 foot locker room. "Some of McLane Stadium’s perks include a 7,500-square-foot oval locker room that has 120 wood lockers finished in cherry-wood veneer, with an enormous, lighted “BU” logo descending from the soaring ceiling and a “recruiting room” with picture windows affording an up-close, turf-level view of the game." Baylor had a hard time selling Floyd Casey Stadium. Sometimes they didn't take recruits to the stadium, other times they took them undercover of darkness. The other exciting news about McClane Stadium is there's now an actual field to play on. Posted on July 4, 2014 by Sure Bud and filed under Southwest Round-Up and tagged Oklahoma Sooners Texas A&M David Bailiff Bryce Petty New Baylor Stadium Rice Owls Baylor Dorian Green-Beckham McLane Stadium Round-Up.